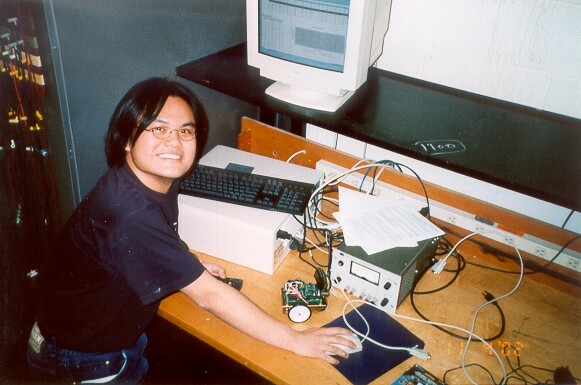 Chinpei worked on a mechatronics project in 2002. Like many engineers, I have been strong in math and science when I was in school. I have also been having the privilege to be surrounded by technologies since my early age. Naturally, I chose engineering as my professional career. I have also been given a lot of opportunities to advance my technical knowledge during my life in the university. I worked on many cool projects with my colleagues, and have been fortunate enough to advance its scientific progress by publishing in the research community. If you are a research scholar, feel free to browse through my publications.